What do you get when you bring everyone together for Calhoun Day? A whole lot of information! 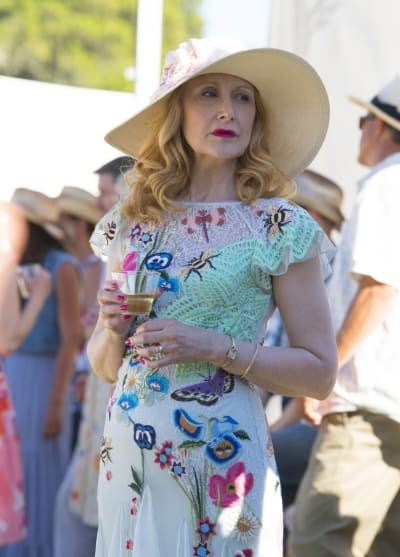 Calhoun Day arrived on Sharp Objects Season 1 Episode 5, and it was the this limited series' finest hour. Having everyone together in one place showed how the small town operates. There was no way the shopping trip was going to result in some mother-daughter bonding. Adora knew everyone was talking about Camille being a bigshot reporter and did not want to give anyone else anything to talk about. What it confirmed was that there's no hope for them to bond. Amma was mad about the article, so I can see why she was acting out, but Adora should know not to persist with Camille. She knows that her daughter has never been in the best state of mind, but the argument in the clothing store was horrifying. Camille should be allowed to pick out her own garments of clothing and not be judged for it. The reaction from Amma to Camille's self-harm made sense. Knowing that Camille's very existence is a struggle, Amma knew that her sister was hurting. 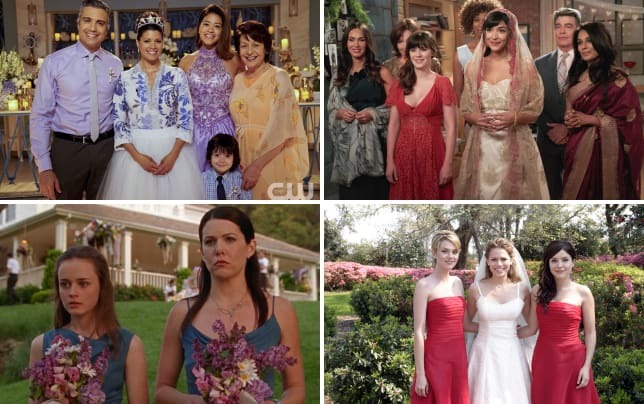 It was the first moment they actually seemed like sisters. Amma dropped the feelings she was harboring towards Camille, and there was an actual progression in their relationship. As for Adora and Camille, there's no way they'll ever be able to make things right. Adora has never loved Camille, and we didn't need her to confirm as much to her face. Hell, to the media it was like Camille did not exist all those years ago. Marian was front and center during every family event before her death. This is a horrible thing to say, but it would make for a great "What If?" episode if we got to see how Adora would have reacted if Camille died instead of Marian. I dare say she would not be as cut up about it. We got yet more insight into the character of Kirk. 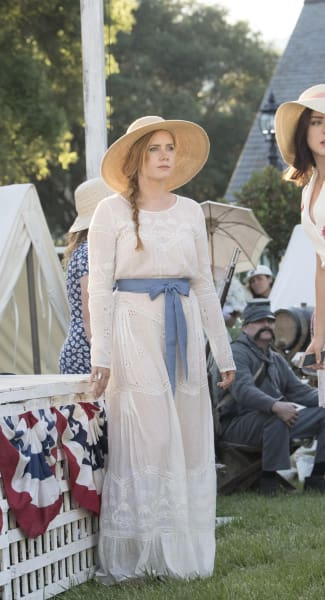 I thought there was something off about him on Sharp Objects Season 1 Episode 4 when Amma touched his hand. We now know that Camille had a sexual encounter with Kirk several years ago. There's a popular theory doing the rounds that Camille could be Amma's mother, and it would not surprise me. Adora could have forced Camille to give up the rights to her daughter and even covered up her being the mother altogether. Adora is cunning and knows how to pull the wool over the people of Wind Gap. It's a sound theory that could ring true, but it raises the question about who Amma's father could be. Kirk may have wanted to meet with Camille, but it looked like there were a lot of painful memories brought back when he addressed Camille. Could that pain be that he is Amma's father? It certainly looks that way. It wouldn't be a city gathering without some fighting, and it was only a matter of time before Tom and Bob went at it. Like I've said on multiple occasions, even if a person is deemed innocent after being arrested for a crime, there's always an element of doubt that follows the person around for the rest of their life. Did anyone else hate Adora showing Richard the house? It was like she wanted Camille to worry about what was being said, and why would Camille not worry? Her past is dark, full of mischief, and most of all, horror. Poor Camille likely thought Richard was going to get the heck out of dodge upon hearing about her. Then there's Bob. Bob is pissed at the way the investigation is going. Vickery and Richard are no closer to finding the killer than they were on Sharp Objects Season 1 Episode 1. The killer is smart and does not leave any sort of evidence, meaning that they've researched the heck out of every aspect of the killing game. Ashley not being impressed with the article was tough luck. In today's world, not everything makes the cut when articles go live. Some quotes get lost in translation to create a narrative. That's the way the cookie crumbles, but at least Camille knew how to handle her. One person who continues to sketch me out is Jackie. Every single time I hear "Camille Preaker" I roll my eyes because it means we are in for another awkward meeting. The good thing about Jackie is that she and Camille have very similar outlooks on the way things are run in Wind Gap. They are against it, and Jackie strives to defy orders. We need to know more about her and fast. There are just three episodes left, and we need to get answers before this series concludes for good. What are your thoughts on this episode? Could Amma be Camille's daughter? Vickery: I'm not worried about Calhoun Day. Besides, people need to blow off steam. Richard: That's what I'm afraid of. Camille wrote a new article. Everyone's talking about it. Permalink: Camille wrote a new article. Everyone's talking about it.